Airport Clubs: Worth the Cost? When you fly several times a month, as Gabriella Ribeiro Truman does, finding a comfortable place to wait for a flight and grab a snack can make traveling a lot more enjoyable. She used to have free access to co-owned American Airlines and US Airways lounges through her American Express (AXP) card, but with that program over, she now pays $500 a year to be a member of American Airlines' Admirals Club, which gets her access to private airport lounges around the world through the oneworld alliance. "It was worth it for me to pay for it," says Truman, 39, a New Jersey-based travel marketing executive. Travelers have a wide range of options when it comes to airport clubs, whose lounges can offer some peace from often chaotic, warehouse-like airport terminals. Snacks and drinks are available for the taking, seating tends to be more comfortable and there's free Wi-Fi and lots of power outlets. But whether it's worth it for the cost depends on how you are getting access and whether you are paying extra for it. Airport lounges are run by either airlines or a handful of private operators. While some are restricted to top-tier flyers, most allow travelers a variety of ways to get in. Membership through airlines or airline alliances: For instance, if you achieve gold status in the Star Alliance, (which includes United Airlines (UAL), Air Canada and Lufthansa) you are permitted access to more than 1,000 lounges worldwide as long as you fly on a member airline. Otherwise, you will pay about $300 to $700 a year, plus initiation fees (air miles can be used). A day pass: Prices are typically about $50, but advance-purchase deals for some can cut that in half. Route-specific: Some travelers are given entry to an airline's lounges along the route they are flying if they fly internationally on a first-class or business-class airline ticket or on certain transcontinental flights. Membership through cards: Fewer credit cards offer the perk now. Among those that still do: the American Express Platinum Card, through which you receive a complimentary membership to Delta's (DAL) Sky Club network when flying on that airline, and you can apply for a free membership in the independent Priority Pass lounge network (worth $399) as part of the card's $450 annual fee. Also, Citi Executive/AAdvantage card holders get a membership worth $500 in American's Admirals Club included as part of their $450 annual fee. At the estimated 2,000 lounges worldwide at more than 500 airports, services and amenities vary. One way to keep track is with a free app like LoungeBuddy, available for iPhone and Android, with data on nearly 1,800 lounges. Users can input their travel information and get ratings, lists of amenities and photos for the lounges they can access. For food, U.S. clubs will typically offer basic snacks like carrots, pretzels and apples, with a bit more in the mornings like pastries and yogurt, according to Tyler Dikman, founder of LoungeBuddy, who says he has personally visited 600 to 800 lounges. Beer and wine will be free, but travelers usually have to pay extra for top-shelf liquor domestically. Nearly half of lounges will have showers, he adds. In smaller airports, marketing executive Ribeiro Truman says she finds that many lounges resemble hotel bars -- not much more than a separate seating area with some snacks. But in larger airports, expect to find more, especially overseas. At Cathay Pacific Airlines' The Bridge Lounge in Hong Kong, for example, there is an enormous, elegantly decorated space divided into two wings, and spacious shower suites. Food includes fresh-baked bread, pizza, soups and sandwiches on one side and a range of high-end hot and cold food for self-service on the other. Access to that lounge is available to Emerald- and Sapphire-level members of the oneworld alliance, which includes American Airlines (AAL). Private shower rooms, in particular, win wide praise from those who have used them. "It's something you'll find in a nice hotel," Dikman says, who has enjoyed plush towels and fancy toiletries. For the infrequent traveler or someone stuck waiting a long time for a connection, buying a day pass to a lounge could be a big benefit, particularly if you have work to do. Road warriors report that paying about $500 a year is money well spent to regroup when it is inconvenient to check into a hotel. Sonita Lontoh, a Silicon Valley technology executive who flies regularly to Asia and Australia, prizes her lounge access. She says after being on a plane for 15 hours, having a place to decompress and take a shower is a real benefit. 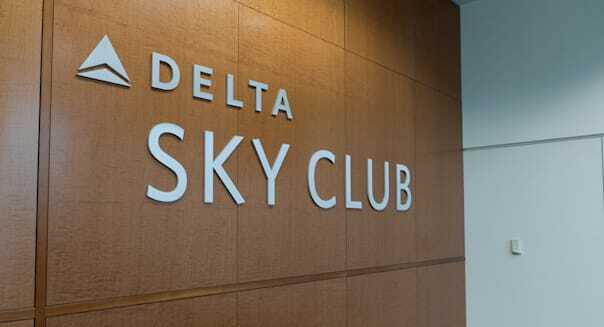 On the other hand, Becky Pokora, 28, the Richmond, Virginia-based writer of The Girl and Globe blog, says her credit card just discontinued free access to lounges and her 15 round trips a year don't warrant paying extra. "The value proposition was different when there were lounges in nearly every U.S. airport participating in their program," she says. "But now I doubt I'll be renewing the card when next year's annual fee comes due."